Introduced in 1965, the LTD was originally a high-line trim version of the Galaxie, much as the Galaxie one-upped the Fairlane before it. As a high-end model, it was often sold as a hardtop sedan. With today’s cars being rather claustrophobic – we might be protected from impacts, but we can’t see out to avoid them worth a damn – there’s something charming and appealing about a car that forgoes pillars. And before you start coming up with “pillarless” cars like, say, the Mercedes S-class coupes, those are just coupes, and out of the reach of most of the population. 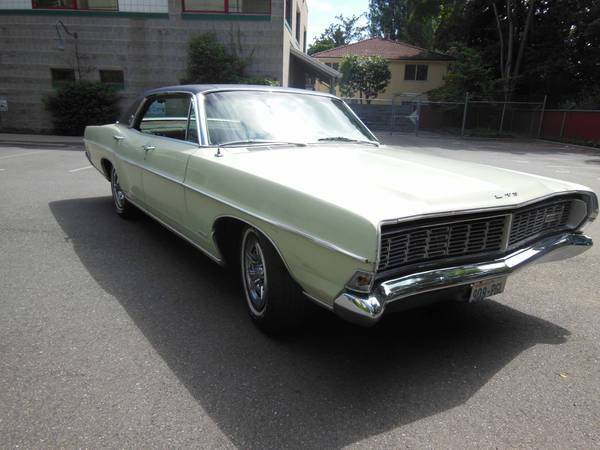 If you’re looking for a pillarless car for the masses, check out this 1968 Ford LTD hardtop, for sale for $3500 in Seattle, WA. Interestingly, the map on the listing shows the car’s location as in Green Lake just outside of Seattle, so check for water damage! 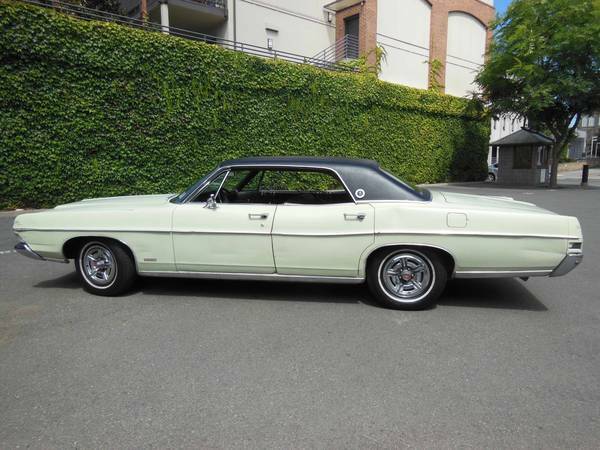 Seriously, this car presents very nicely in an off-white color with vinyl top and Magnum 500/Rostyle-looking hubcaps. There does appear to be some damage to the sides, front and back, suggesting parking damage caused by an elderly first owner. However, it hasn’t visibly perforated the paint, so either you accept it as part of the car’s story, or talk to a paintless dent person about having it fixed. 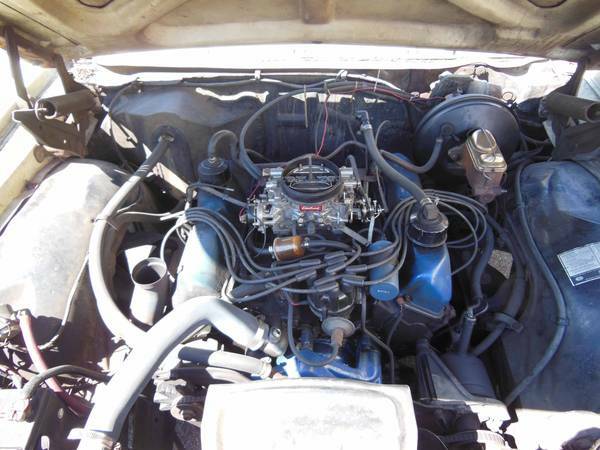 According to the seller, this car has been a daily driver for a number of years, and features a 390 V8 with Pertronix electronic ignition. This engine has around 320hp, which you can probably discount to somewhere under 300 for age and the fact those are 1960s horses. While it’s said to be unrestored, it’s got a rebuilt suspension, new water pump, replaced timing gears, and rebuilt power booster. It also has a newer CD/radio unit, in addition to the original unit, which is higher up on the dash. Normally, it’s more interesting to show the front seats, dash, and steering wheel to get an idea of the interior, but this shot is very interesting since it shows the remarkable condition of the original upholstery, as well as the open feeling you get from not having a B-pillar. 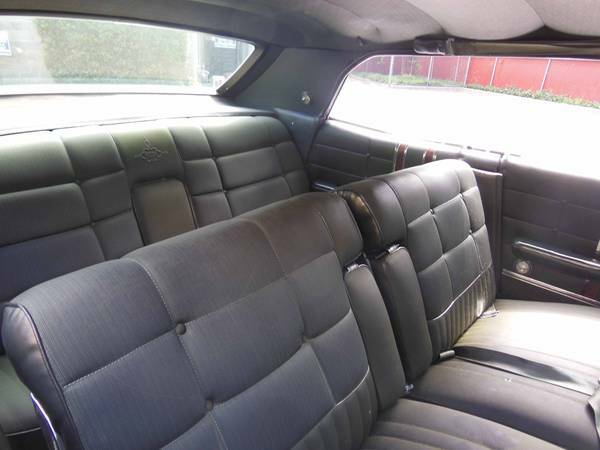 Check out those wide seats, and arm rests for the front and rear passengers. Vinyl on the lower seat back is a neat touch, since that area would tend to wear from people getting in and out. As mentioned above, the engine is said to be in good shape. And it looks good in a daily driver way – don’t do a thing to it, just keep it in lots of gas, oil, coolant, and occasionally dust it off. Would you put up with 17mpg to experience this car accelerating from 60 to 80 on freeway road trips? This entry was posted on April 11, 2014 at 9:47 am and is filed under Feature. You can follow any responses to this entry through the RSS 2.0 feed. You can leave a response, or trackback from your own site. I loved the LTD as did my Great Grandmother she always said love that ltd.